In recent years, the prevailing wisdom among foreign enterprises has been to focus predominantly on China’s Tier 1 cities (i.e. Shanghai, Beijing and Guangzhou) – highly populated areas with a large, middle-class representation and income levels well above the national average. Tier 1 cities are China’s most mature markets in terms of consumer behaviour, and are typically the most suitable testing ground for foreign companies with limited experience in China. Although being based in a Tier 1 city may offer the lowest risk point of market entry, it will also mean that the company faces higher operational costs and more competition. Economic growth and rising incomes in China’s Tier 2 cities have made entering these markets much more attractive to foreign suppliers than it was in the past. 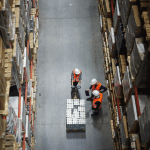 Not only do Tier 2 cities have the advantage of lower set-up and operating costs, but the increase in consumer spending power in these areas is creating a rapid growth in demand for foreign manufactured goods and products. 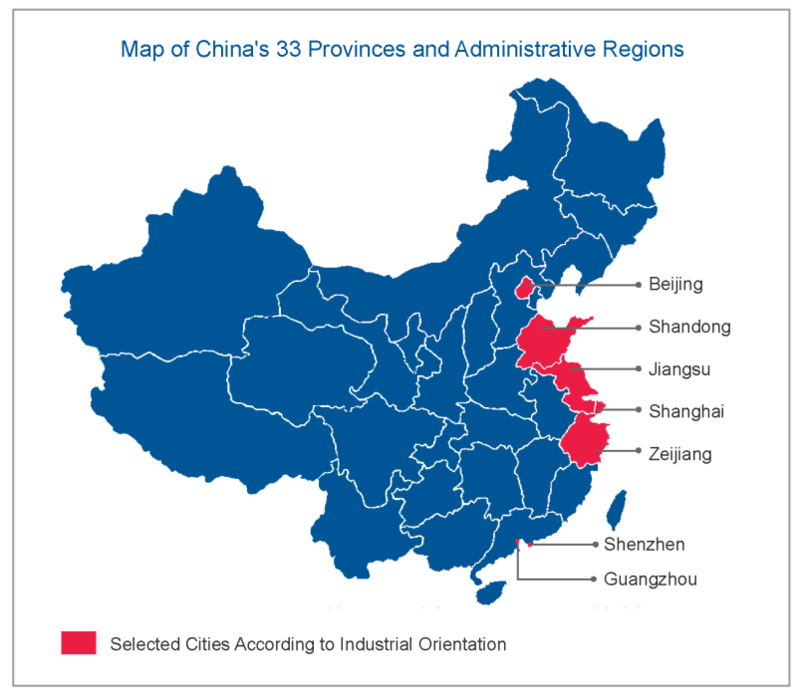 In particular, cities such as Shenzhen, Tianjin, Wuhan, Chongqing, Chengdu, Nanjing, Qingdao, Dalian, Suzhou and Hangzhou all offer strong commercial opportunities for foreign companies across a range of sectors. Over the long term, including Tier 2 and even Tier 3 cities in their strategy can enable foreign companies to gain first-mover advantage in these cities and lead to greater long-term market success. Whether to set up in more tried and tested locations or to take the risk of setting up in a less developed market is likely to depend on a variety of different factors, and ultimately this decision will be based on having thoroughly research the market landscape. For example, it is critical to spend time mapping out the location of customers and suppliers, understanding how distribution channels vary between different locations, and fully researching any local regulatory barriers that could block market entry in specific regions. Companies planning to set up a local manufacturing facility will be required to research a broader range of factors, such as local manufacturing and transport infrastructure, access to key raw materials, local investment policies, the availability and cost of human resources, and a myriad of other factors. Understanding government policy and regulations is critical to success in Chinese b2b markets. Although China’s entry to the WTO in 2001 helped to liberalise China’s trade environment to some extent, many industries remain heavily regulated. There are still a lot of industries that remain off-limits to foreign companies, and many industries where severe limitations remain in place. For example, China severely restricts foreign companies’ involvement in the field of petrochemicals, energy and telecommunications sectors. Any foreign company looking to set up local production in China should first consult the China foreign investment catalogue, which divides foreign investment projects into ‘encouraged’, ‘restricted’ and ‘prohibited’ categories. As China’s economy develops, it is also accumulating a growing number of industry-specific regulations and standards, which both domestic and foreign companies should conform to. China now has a host of different ministries and regulatory organisations with responsibility for industry regulations and laws. For example, in the healthcare sector both the Ministry of Health and the State Food and Drug Administration (SFDA) play a role in drawing up and enforcing regulations, while there are also provincial level MOH and SFDA organs that implement regulations at a local level. In industries with greater levels of regulation (such as the healthcare and food sectors), foreign companies will need to attempt to unravel the web of complex laws and regulations, and try to understand which authorities have primary responsibility for implementing them. Regulation is becoming more stringent, as are to efforts ensure that companies actually conform to them. In the wake of the melamine poisoned milk scandal in 2008, the Chinese authorities have taken a tougher line against companies that openly flaunt the food safety law, whilst the SFDA is also tightening regulations on pharmaceuticals and medical devices to avoid similar events from occurring in the future. Likewise, environmental problems caused by poor environmental regulatory enforcement and widespread pollution in years gone by have led to the introduction of much tighter environmental legislation. Foreign companies are now required to go through lengthy environmental assessments before gaining permission to produce locally. Government regulations can very often impact significantly on the timeline and costs of market entry, and companies are advised to examine the implications of such regulations prior to committing to the market. For example, in the medical and pharmaceutical sectors, long product or clinical trials may be required, which result in a longer sales cycle than may be the case in other countries. 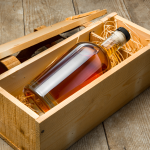 It is also worthwhile noting that just because a product has previously been approved by regulatory authorities in Europe or the US does not automatically guarantee that the same product will receive approval in China. It is critical to spend time researching and understanding the regulatory environment prior to making any decision to enter the market. Having entered the market, it is equally important to constantly monitor for any changes to legislation or regulations and how these could affect your business. Chinese regulatory bodies often operate in a quite opaque manner, making it difficult to anticipate regulatory changes before they happen. A further problem is that China’s regulations are often vaguely worded and open to interpretation, which can be unsettling for foreign companies used to a more transparent regulatory environment. Market research specialists and legal consultants can help foreign businesses to better understand how China’s laws and regulations should be interpreted. Choosing the right vehicle for entry is one of the most crucial decisions a business can make when entering China for the first time. Although a growing number of foreign companies are ‘going it alone’ in China, the joint venture (JV) business model still brings with it many advantages and can often be seen as a lower-risk strategy than the wholly foreign owned enterprise (WFOE). Equally, while some b2b markets require setting up a local Chinese entity, in other markets using local intermediaries or a small representative office may suffice. Entry mode often depends on a number of factors, including industry landscape, the geographical size and scope of the market, whether the company plans to manufacture locally or import its products, and the level of on-the-ground sales and technical support required by customers. Ultimately, when choosing which form is most appropriate, a company should consider each of these factors, along with the overall costs of setting up a local entity and hiring local employees. Ultimately, the best vehicle for a foreign enterprise entering the market for the first time will vary according to the size and scope of an enterprise, along with the specific characteristics of the market it is entering. For example, while WFOEs are often the main modus operandifor high-tech firms with large IP inventories, companies specialising in more commoditised products often find that risk is mitigated by partnering up with a well-established local company. Whichever market entry mode is chosen, thorough market research should precede any final decision on how and when to enter the market. A growing number of market research companies now have operations in China, and the market is becoming easier to research than ever before. In addition to the numerous off-the-shelf reports available about the Chinese market, there are now a growing number of companies offering tailored market research services (whether it be global consultancies and management consultants, government-affiliated agencies or private individuals providing research and consultancy). The profusion of English-language publications on China available through the internet makes it relatively easy for Western companies to carry out some initial research on the Chinese market. Typically, this initial in-house ‘desk research’ can help firms to determine whether further, more detailed research is required and can assist with setting goals for more detailed research later on. An experienced market research company will then build upon this initial foundation of knowledge with more detailed information collected via Chinese-language desk research and in-depth interviews with leading industry experts and decision makers. Along with these qualitative techniques, quantitative research can then help with determining more accurately market size, future growth trends, levels of competition, routes to market, key customer requirements and so on. Effective market research is essential to determining the size and nature of the market opportunity and acts as a benchmark against which firms are able to measure future performance. Good market research can help to identify any potential road-blocks to market (competitive, legal or regulatory) and identify any weaknesses in a company’s product or service offering. A thorough and well executed market research study can help prevent poor decision-making and establish a clear strategy map for the future. Arguably, the single biggest determinant of a company’s ultimate success in China is the quality of staff it employs. Very often, the enterprise type will determine the human resources available, and foreign companies tend to have greater freedom with WFOEs and rep offices than JVs in this respect. The quality of human resources available will also be closely related to where the company is located, and it is generally the case that the quality of people available is much higher in Tier One cities such as Shanghai and Beijing than Tier Two and Tier Three cities. Another key decision to be made is whether to employ expatriates in senior management positions or whether to localise these roles. Employing expatriates tends to be seen to offer greater operational control, although is also more costly in terms of salary packages, relocation costs, insurance and other expenses. Moreover, most expatriate managers have a very limited local knowledge of Chinese cultural and business practices, and very seldom have the Chinese language skills necessary for dealing with Chinese companies on a day-to-day basis. A key benefit of hiring a Chinese manager is the local market knowledge and deeper understanding of Chinese business they bring to the role. Not only are salary and insurance costs lower for local employees, but Chinese employees very often have existing contacts (‘guanxi’) with suppliers, customers and local government authorities that can be fully utilised. Unfortunately, in many industries the supply of highly skilled local managers with industry experience is extremely limited, and employers may still be forced to pay a premium to attract the right calibre of employees. Equally, staff turnover rates are extremely high in China and retaining quality managers over the long term is challenging. Losing local managers will also risk losing access to their guanxi networks and local market knowledge. Whether hiring staff, investing in a joint venture or appointing a local distributor, carrying out due diligence is also an indispensable activity when setting up in China for the first time. The key objective of due diligence is ultimately to verify the trustworthiness of partners and employees, and to flag up any skeletons in the cupboard before proceeding with any sizeable investment. Although some basic due diligence can be carried out in-house, nowadays there are also numerous legal and risk assessment consultants with offices in China that provide business intelligence, individual background checks, and risk analysis consultancy. IPR infringement is commonplace in China, and any company entering the market for the first time should work under the assumption that its technology will be compromised at some point. With this in mind, it is generally recommended that foreign companies, and particularly those with large IP inventories, consult with lawyers and IPR specialists to formulate an IPR strategy for the China market. There is no one-size-fits-all IP protection strategy for China, and typically an effective IPR strategy mix will employ a number of different tools. One might include a mixture of various legal, practical and technical measures designed to prevent infringement and ensure legal rights are enforced in the event of an infringement. China has a “first-to-file” patent system, which means that it is possible for local Chinese companies to register another company’s patents even though it is not the original inventor of a technology. Also, there are time limitations on registering patents in China, and so companies that registered their patents outside China more than 12 months previously are usually unable to register their patents locally in China. Another important consideration is whether registering a patent could actually serve to disclose key technical information that could otherwise be protected through employee non-disclosure agreements (NDAs) and other practical measures. China also has a “first-to-file” trademark system, which means that a foreign company’s legitimate brand and logo cannot be used if these trademarks have already been registered by a local Chinese company. Any company seriously considering entering the Chinese market in the future should register its trademarks with the China Trademark Office as soon as possible. Registering a trademark across a number of different categories may also be necessary for companies keen to deter potential infringers. Likewise, new market entrants should ensure that all trademarks are registered both in English and Chinese, and that any internet domain names are properly registered. Beyond these legal measures, there are a number of practical measures that foreign companies can adopt to protect their IPR. 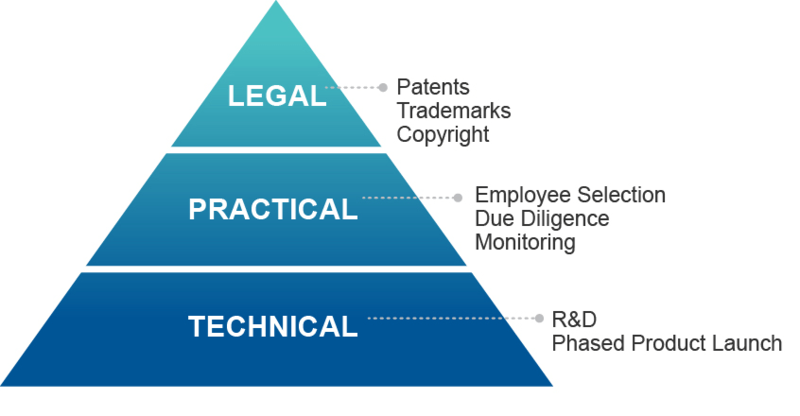 For example, carrying out thorough due diligence on prospective partners and company employees, signing NDAs with partners and employees, and constantly monitoring the market for infringements are key practical steps a company, having already entered the market, can take to prevent its IPR from being compromised. Equally, actively pursuing legal proceedings against any IP infringers should act as a deterrent to other potential infringers and will alert the authorities to future IPR infringements. Making that first step into the China market is an intimidating step for most companies in the b2b arena, with an almost endless series of potential pitfalls to be negotiated. Although there are often many obstacles in the way of achieving success in China, the rewards of successfully navigating this difficult course are also immense. Thankfully, as China’s economy continues to grow and become more open to foreign companies, the rewards increasingly outweigh the challenges of doing business in China. While the old adage “In China everything is possible, but nothing is easy” still rings true for many foreign companies when doing business in China, the extent of this difficulty seems to decline further with every passing year. China is a country that is constantly changing and its markets are evolving more rapidly than almost anywhere on earth. As such, there is no one-size-fits-all approach by which foreign companies should approach the China market. Each company’s China strategy is likely to be informed by any number of different factors – from industry sector, product type, company size and culture, through to long-term business aims and global corporate vision. This white paper has attempted to illustrate some of the fundamental considerations that any company must take when approaching the China market for the first time. Although these steps may lead to very different conclusions for different companies, they can help companies to properly determine an appropriate strategy for China. We finish with a brief summary of the ‘Dos and Don’ts’ that any foreign company approaching the China market for the first time should take into consideration.